Gilbert passed away peacefully at his home following a short illness one month short of his 80th birthday, on Friday, September 7th, 2018. 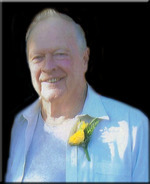 He was the cherished husband for 57 years of Inez (Joynt) McGinnis. Gilbert was predeceased by his parents Charlie and Della (Doran) McGinnis, and siblings Georgina McGinnis, Harold (Violet) McGinnis, Mary (Ted) Day, Mac (Freda) McGinnis, Mel (Peg) McGinnis, Rhoda (Ivan) Mather, Lillian (Gordon) Casey, Alvin McGinnis, Bill McGinnis, brother-in-law Lional (Shirley) Joynt and sister-in-law Mary (Doug) Tysick. He will be sadly missed by his nieces and nephews Bev, Shirley, Dora, Rick, Randall, Dale, Charlie, Earl, Lynn, Harold, Sandra, Anneth, Patsy, Della, Gordon, Rhoda, Kathy, Michael, Bob, Jim, Barb, Bill, Bob, Bonnie, Bev, Brian, Brent and Tracy. Gilbert retired after 27 years with the Perth Public Utilities and farmed for many years. Friends may pay their respects at the Blair & Son Funeral Home, 15 Gore St., West, Perth on Tuesday, September 11th, 2018 from 4:00 to 8:00 P.M. Funeral service will be held in the Chapel on Wednesday at 10:30 A.M. Interment Laidley Cemetery. In remembrance of Gilbert, contributions to the Laidley Cemetery or the Canadian Cancer Society Wheels of Hope would be appreciated.